George Town, Penang as seen from Penang Hill, the highest point on Penang Island. Penang is a Malaysian state located on the northwest coast of Peninsular Malaysia, by the Strait of Malacca. It comprises two parts – Penang Island, where the capital city, George Town, is located, and Seberang Perai (formerly Province Wellesley) on the Malay Peninsula. Penang is bordered by Kedah to the north and east, and Perak to the south. Known as the Silicon Valley of the East due to its industries, Penang is also one of the most urbanised and economically important states in the country. George Town, which was founded by the British in 1786, is a UNESCO World Heritage Site and a thriving tourist destination. Penang has the third-highest Human Development Index in Malaysia, after the state of Selangor and the federal territory of Kuala Lumpur. Its heterogeneous population is highly diverse in ethnicity, culture, language and religion. A resident of Penang is colloquially known as a Penangite (in English), Penang Lang (in Penang Hokkien) or Penangkaran (in Tamil). The name of "Penang" comes from the modern Malay name Pulau Pinang, which means "island of the areca nut palm" (Areca catechu, family Palmae). The name Penang may refer either to Penang Island (Pulau Pinang) or the state of Penang (Negeri Pulau Pinang). The word is derived from the Chinese name for the areca nut or betel palm. Penang is also known as "The Pearl of the Orient", "东方之珠" and Pulau Pinang Pulau Mutiara (Penang, The Island of Pearls). Penang is shortened as "PG" in English, or "PP" in Malay. In Malay, George Town was labelled in old maps as Tanjung Penaga (Cape Penaigre), named after the many ballnut trees (Alexandrian laurels, Calophyllum inophyllum) on the coast, but now usually shortened as Tanjung (the Cape). Early Malays called it Pulau Ka-Satu or "First (or Single) Island" because it was the largest island encountered on the trading sea-route between Lingga and Kedah. The Siamese, then the overlord of the Kedah Sultanate, referred to the island as Koh Maak. (Thai: เกาะหมาก "Areca nut palm Island") In the 15th century, the island of Penang was referred to as Bīnláng Yù (simplified Chinese: 槟榔屿; traditional Chinese: 檳榔嶼) in the navigational drawings used by Admiral Zheng He of Ming-dynasty China in his expeditions to the South Seas. The 16th-century Portuguese historian Emanuel Godinho de Eredia's map of the Malay Peninsula in his "Description of Malaca" in 1613 referred to the island as Pulo Pinaom. Archaeological evidence shows that Penang was inhabited by the Semang-Pangan of the Juru and Yen lineage. Both of these are now considered extinct cultures. They were hunter-gatherers of the Negrito stock having short stature and dark complexion, and were dispersed by the Malays as far back as 900 years ago. The last recorded aboriginal settlement in Penang was in the 1920s in Kubang Semang. The first evidence of prehistoric human settlement in what is now Penang were found in Guar Kepah, a cave in Seberang Perai in 1860. Based on mounds of sea shells with human skeletons, stone implements, broken ceramics, and food leftovers inside, the settlement was estimated to be between 3000 and 4000 years old. Other stone tools found in various places on the island of Penang pointed to the existence of Neolithic settlements dating to 5000 years ago. 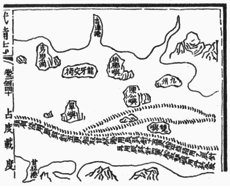 The earliest use of the geographical term "Penang Island" may have been the "The Nautical Charts of Zheng He" dated to the expeditions of Zheng He (Cheng Ho) in Ming dynasty during the reign of the Yongle Emperor. In the 15th century, the Chinese navy using the record of nautical chart as navigation guide from "Con Dao Islands" (Pulo Condore) to Penang Island, Penang has been seen to trade with the Ming dynasty in the 15th century. One of the first Englishmen to reach Penang was the navigator and privateer Sir James Lancaster who on 10 April 1591, commanding the Edward Bonadventure, set sail from Plymouth for the East Indies, reaching Penang in June 1592, remaining on the island until September of the same year and pillaging every vessel he encountered, only to return to England in May 1594. 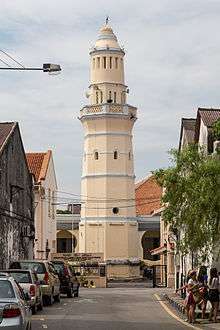 Kapitan Keling Mosque built in 1801. In the early 18th century, the Minangkabaus of Sumatra were Datuk Jannaton, Nakhoda Bayan, Nakhoda Intan and Nakhoda Kecil opened up a settlement at Penang island. Haji Muhammad Salleh, known as Nakhoda Intan, anchored in Batu Uban and built Masjid Jamek for his seaside settlement in 1734. Later the Arabs arrived in Penang and settled mainly in Jelutong. The Arabs then intermarried with the Minangkabau and this gave rise to Arab-Minangkabau admixture who are described as Malay as they have assimilated into the local Malay community. The Arabs were among the wealthiest in Penang. The richest and prominent Arab was Sayyid Husain Aidid. On 17 July 1786, Captain Francis Light, an English trader-adventurer working for the Madras-based firm, Jourdain Sullivan, de Souza and the East India Company, landed on the island at what was later called Fort Cornwallis, took formal possession of the island "in the name of His Britannic Majesty, King George III and the Honourable East India Company" and founded a settlement at the northeast point of the island. On 12 August 1786, Light renamed the island the Prince of Wales Island in honour of the heir to the British throne, and named the new settlement George Town in honour of King George III. Sultan Abdullah Mukarram Shah of Kedah leased the island to him in exchange for military protection from Siamese and Burmese armies who were threatening Kedah. For Light, Penang was a "convenient magazine for trade" and an ideal location to curtail French expansion in Indochina and to check the Dutch foothold in Sumatra. Penang was Britain's first settlement in Southeast Asia, and was one of the first establishments of the second British Empire after the loss of its North American colonies. In Malaysian history, the occasion marked the beginning of more than a century of British involvement in Malaya. Unfortunately for the Sultan, the EIC's new governor-general Charles Cornwallis made it clear that he could not be party to the Sultan's disputes with the other Malay princes, or promise to protect him from the Siamese or Burmese . Unbeknownst to Sultan Abdullah, Light had decided to conceal the facts of the agreement from both parties. When Light reneged on his promise of protection, the Sultan tried unsuccessfully to recapture Prince of Wales Island in 1790, and the Sultan was forced to cede the island to the company for an honorarium of 6,000 Spanish dollars per annum. Light established Penang as a free port to entice traders away from nearby Dutch trading posts. Trade in Penang grew exponentially soon after its founding – incoming ships and boats to Penang increased from 85 in 1786 to 3569 in 1802. He also encouraged immigrants by promising them as much land as they could clear and by reportedly firing silver dollars from his ship's cannons deep into the jungle. Many early settlers, including Light himself in 1794, succumbed to malaria, earning early Penang the epithet "the white man's grave". The Cenotaph at the Esplanade, erected after World War I, commemorates fallen soldiers. After Light's demise, Lieutenant-Colonel Arthur Wellesley, later to be Duke of Wellington, arrived in Penang to co-ordinate the defences of the island. In 1800, Lieutenant-Governor Sir George Leith secured a strip of land across the channel as a buffer against attacks and named it Province Wellesley (today Seberang Perai). The annual payment to Sultan of Kedah was increased to 10,000 Spanish dollars per annum after the acquisition. Today, as a symbolic gesture, the Penang state government still pays Kedah RM 10,000.00 annually. In 1796 Penang was made a penal settlement when 700 convicts were transferred from the Andaman Islands. In 1805 Penang was made a separate presidency (ranking with Bombay and Madras); and when in 1826 Singapore and Malacca were incorporated with it, Penang continued to be the seat of government of the Straits Settlements, an extension of the British Raj. In 1829 Penang was reduced from the rank of a presidency, and eight years later, the fast-booming town of Singapore was made the capital of the Straits Settlements. In 1867 the Straits Settlements were created a Crown colony under direct British rule, in which Penang was included. Colonial Penang thrived from trade in pepper and spices, Indian piece goods, betel nut, tin, opium, and rice. The Bengal Presidency was aware of Penang's potential as an alternative to Dutch Moluccas as a source of spice production. Development of export crops became the chief means of covering administrative costs in Penang. The development of the spice economy drove the movement of Chinese settlers to the island, which was actively encouraged by the British. However, Penang port's initial pre-eminence was later supplanted by Singapore owing to the latter's superior geographical location. In spite of this, Penang remained an important feeder to Singapore – funnelling the exports meant for global shipping lines by ocean-going ships which had bypassed other regional ports. The replacement of sailing vessels by steamships in the mid-19th century cemented Penang's secondary importance after Singapore. Penang's most important trading partners were China, India, Siam, the Dutch East Indies and Britain, as well as fellow Straits Settlements, Singapore and Malacca. The rapid population growth stemming from economic development created problems such as sanitation, inadequate urban infrastructure, transportation and public health. Main roads were extended from the capital into the fertile cultivated spice farms further inland. But to sate the severe labour shortages in public works, the government began the practice of employing Indian convict workers as low-cost labourers. A great number of them worked on Penang' streets, draining swamps and clearing forests, constructing drainage ditches, and laying pipeworks for clean water. Indeed, convict labour was key to Penang's successful colonisation as many found employment in the civil service, military, and even as private servants to the colonial officials and private individuals. For ten days in August 1867, Penang was gripped with civil unrest during what was known as the Penang Riot which pitted rival secret societies Kean Teik Tong (the Tua Pek Kong Hoey), led by Khoo Thean Teik and the Red Flag against the alliance of the Ghee Hin Kongsi and the White Flag, which the British under newly appointed lieutenant-governor Col. Edward Anson put down with sepoy reinforcement after days of chaos. At the turn of the century, Penang, with her large population of Chinese immigrants, was a natural place for the Chinese nationalist Sun Yat-sen to raise funds for his revolutionary efforts in Qing China. These frequent visits culminated in the famous 1910 Penang conference which paved the way to the ultimately triumphant Wuchang uprising which overthrew the Manchu government. During World War I, in the Battle of Penang, the German cruiser SMS Emden surreptitiously sailed to Penang and sank two Allied warships off its coast – the Russian cruiser Zhemchug in the North Channel, and as it was leaving the island, the French torpedo boat, Mosquet 10 miles off Muka Head. In the interwar years and during the Great Depression, the Penang business elites suffered numerous setbacks but also witnessed the rise of the nouveau-riche such as the legendary Lim Lean Teng. Rice-milling, opium syndicates, and pawnbroking were among the most lucrative businesses. In 1922, the Prince of Wales (later King Edward VIII) visited Penang amid much splendour. During World War II, Penang, then a British garrison, suffered devastating aerial bombardments and finally fell to invading Japanese forces on 19 December 1941 as the British withdrew to Singapore after declaring George Town an open city. Penang under Japanese occupation was marked by widespread fear, hunger, and the Sook Ching massacres which targeted the local Chinese populace. 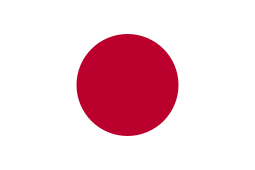 Especially feared was the Japanese military police Kempeitai and its network of informants. Penang was administered by four successive Japanese governors, beginning with Lt-Gen Shotaro Katayama. Penang also served as a U-boat base for the Monsun boats in the Indian Ocean for Japan's ally, Germany during the War. Between 1944 and 1945, the Allies launched bombing raids throughout Southeast Asia, including Penang. The destruction of the Penang Secretariat building by Allied bombing in the final months of the Occupation caused the loss of the greater part of the British and Japanese records concerning the island, causing enormous difficulties to compile a comprehensive history of Penang. Following Japanese surrender in the War, on 21 August 1945 the Penang Shimbun published the statement of capitulation issued by the Emperor. The official British party reached Penang on 1 September, and after a meeting between the British Commander-in-Chief of the East Indies Fleet and Japanese Rear-Admiral Uzumi on 2 September, a detachment of the Royal Marines landed and occupied the island on 3 September. A formal ceremony to signify British repossession of Penang took place at Swettenham Pier on 5 September 1945. The British returned at the end of the war and were intent on consolidating rule over their possessions in British Malaya into a single administrative entity called the Malayan Union, but by then British prestige and an image of invincibility were severely dented. The Malayan Union was vehemently rejected by the people, and the Federation of Malaya was formed in its place in 1948, uniting the then Federated Malay States, Unfederated Malay States, and the Straits Settlements (excluding Singapore) of which Penang was a part. Independence seemed an inevitable conclusion. Nonetheless, the idea of the absorption of the British colony of Penang into the vast Malay heartland alarmed some quarters of the population. The Penang Secessionist Movement (active from 1948 to 1951) was formed to preclude Penang's merger with Malaya, but was unsuccessful due to British disapproval. Another attempt by the secessionists to join Penang with Singapore as a Crown Colony was also unfruitful. The movement was spearheaded by, among others, the Penang Chinese Chamber of Commerce, the Penang Indian Chamber of Commerce, and the Penang Clerical and Administrative Staff Union. Penang, with the rest of the Federation of Malaya gained independence in 1957, and subsequently became a member state of Malaysia in 1963. Wong Pow Nee of the Malaysian Chinese Association (MCA) party was Penang's first Chief Minister. He presided during the period of the Communist insurgency and the formation of Malaysia. The island was, since colonial times, a free port until its sudden revocation by the federal government in 1969. Despite this abrupt setback, from the 1970s to the late 1990s the state under the administration of Chief Minister Lim Chong Eu built up one of the largest electronics manufacturing bases in Asia, the Free Trade Zone in Bayan Lepas located at the southeastern part of Penang Island. The symbiotic coexistence of a heritage building with a modern high-rise in Penang reflects the conflicting urban hunger for space to develop and the deep-rooted respect for the past. The pre-War houses in the historic centre of George Town was for half a century until January 2001 protected from urban development due to the Rent Control Act which prohibited landlords from arbitrarily raising rentals as a measure to provide affordable housing to the low-income population. Its eventual repeal visibly changed the landscape of Penang's demographic pattern and economic activity: it led to overnight appreciation of house and real estate prices, forcing out tenants of multiple generations out of their homes to the city outskirts and the development of new townships and hitherto sparsely populated areas of Penang; the demolition of many pre-War houses and the mushrooming of high-rise residences and office buildings; and the emptying out and dilapidation of many areas in the city centre. Unperturbed development sparked concerns of the continued existence of heritage buildings and Penang's collection of pre-War houses (southeast Asia's largest), leading to more vigorous conservation efforts. This was paid handsomely when on 7 July 2008, George Town wa s inscribed as a UNESCO World Heritage Site, alongside Malacca. It is recognised as having "a unique architectural and cultural townscape without parallel anywhere in East and Southeast Asia". The Indian Ocean tsunami which struck on Boxing Day of 2004 hit the western and northern coasts of Penang Island, claiming 52 lives (out of 68 in Malaysia). Whilst George Town had been declared a city by Her Majesty Queen Elizabeth II in 1957, Penang island as a whole was awarded city status by the Malaysian government in 2015. 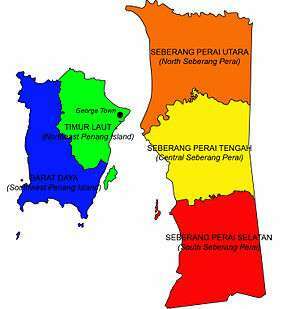 The five districts that make up the state of Penang. Seberang Perai: a narrow hinterland of 653 km2 (252 sq mi) on the peninsula across a narrow channel whose smallest width is 4 km (2.5 mi). It is bordered by Kedah in the east and north (demarcated by the Muda River), and by Perak in the south. The northeastern plains form a triangular promontory where the state capital is situated. This densely populated inner city is the administrative, commercial, and cultural centre of Penang. The southeast, once consisting of rice fields and mangroves, has been completely transformed into new townships and industrial areas. The northwest consists of a coastal fringe of sandy beaches lined with resort hotels and residences. The southwest contains the only large pockets of scenic countryside with fishing villages, fruit orchards, and mangroves. The central hill range, with the highest point being Western Hill (part of Penang Hill) at 830 metres above sea level, is an important forested catchment area. The topography of Seberang Perai, comprising more than half of the land area of Penang, is mostly flat save for Bukit Mertajam, the name of the hillock and the eponymous town at its foot. It has a long coastline, the majority of which is lined with mangrove. Butterworth, the main town in Seberang Perai, lies along the Perai River estuary and faces George Town at a distance of 3 km (1.9 mi) across the channel to the east. 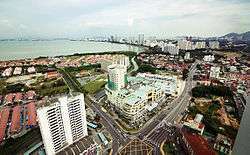 Due to the lack of land for development in Penang, a few land reclamation projects had been undertaken to provide suitable low-lying land in high-demand areas such as Tanjung Tokong, Jelutong (construction of Jelutong Expressway) and Queensbay. These projects had been implicated in the change of tidal flow along coastal areas of Penang Island and were postulated to have caused the silting of Gurney Drive after the Tanjung Tokong reclamation. There are three main geological formations in Penang, i.e. the orthoclase to intermediate microcline granite, microcline granite, and the Mahang formation (mainly ferruginous spotted slate). Penang Island has no sedimentary rocks and most of the island is underlain by igneous rocks which are granites in the IUGS or Streckeisen classification. On the basis of proportions of alkali feldspar to total feldspar, granites on Penang island are further distinguished into two main groups: the North Penang Pluton (approximately north of latitude 5° 23'), and the South Penang Pluton. The former group is subdivided into the Ferringhi Granite, the Tanjung Bungah Granite and the Muka Head Microgranite, whereas the latter is subdivided into the Batu Maung Granite and the Sungai Ara Granite. A study of three disparate locations on the island show that the soil profile in Batu Ferringhi (of early Jurassic age) is silty whereas those in Paya Terubong (early Permian – late Carboniferous) and Tanjung Bungah (early Jurassic) are clayey. The major rivers in Penang include the Pinang River, Air Itam River, Gelugor River, Dondang River, Teluk Bahang River, Tukun River, Betung River, and Prai River. The Muda River separates Penang from Kedah in the north, while the Kerian River forms the boundary between Penang, Kedah, and Perak. The latter is known for its firefly colonies. Like the rest of Malaysia, Penang has a tropical climate, specifically a tropical rainforest climate bordering on a tropical monsoon climate, though Penang does experience slightly drier conditions from December to February of the following year. The climate is very much dictated by the surrounding sea and the wind system. Penang's proximity with Sumatra, Indonesia makes it susceptible to dust particles carried by wind from perennial but transient forest fires, creating a phenomenon known as the haze. The Bayan Lepas Regional Meteorological Office is the primary weather forecast facility for northern Peninsular Malaysia. Pulau Jerejak, off the southeast coast of Penang, is the largest among the outlying islets. It is accessible by a boat service. There are a number of small islets off the coast of Penang, the biggest of which, Pulau Jerejak, is located in the narrow channel between Penang Island and the mainland. Starting as a leper asylum in 1868 and later a maximum-security penal colony (till 1993), Jerejak is now a tourist attraction offering jungle trails and a spa resort. Other islands include Pulau Aman, Pulau Betong, Pulau Gedung, Pulau Kendi (Coral Island) and Pulau Rimau. The National Physical Plan of Malaysia envisages a Conurbation of George Town encompassing George Town and surrounding areas. The greater metropolitan area of Penang consists of highly urbanised Penang Island, Seberang Prai, Sungai Petani, Kulim and the surrounding areas. With a population of approximately two million, it is the second largest metropolitan area in Malaysia after the Conurbation of Kuala Lumpur (Klang Valley). George Town has been ranked as the most liveable city in Malaysia, eighth most liveable in Asia and the 62nd in the world in 2010 by ECA International, an improvement in ranking from recent years. The state has the highest population density in Malaysia with 1,450.5 people per square kilometre which would make it the 5th most densely populated in the country if Penang were a district. The population of Penang is 1,902,116 as of 2016. Penang Island has a population of 711,102 in 2016 and a density of 2,372 people per square kilometre. Penang Island is the most populated island in Malaysia and has the highest population density in the country. Seberang Perai is the hinterland portion of Penang, populated by 906,077 people in the 2016, and has a density of 1,086 people per square kilometre. Penang hosts an estimated 50,000 to 60,000 of migrant workers, mostly from Indonesia, Myanmar, Vietnam, Thailand, and South Asian nations who are mostly involved in domestic help, services, manufacturing, construction, plantations, and agriculture. During the colonial times, apart from the Europeans and the already multiracial citizenry, there were communities of Siamese, Burmese, Filipino, Ceylonese, Eurasian, Japanese, Sumatran, Arab, Armenian, and Parsee people. A small but commercially significant community of German merchants also existed in Penang. Even though most of these communities are no longer extant, they lent their legacy to street and place names such as the Burmese Buddhist Temple, Crag Hotel, Siam Rd, Armenian St, Acheen St, and Gottlieb Rd. There was a Jewish enclave in Penang before World War II, but few Jews if any remain today. Penang currently has a sizeable expatriate population, especially from Singapore, Japan and various Asian countries as well as Britain, many of whom settle in Penang in their retirement as part of the Malaysia My Second Home programme. A restaurant serving Baba-Nyonya cuisine. The Peranakan, also known as the Straits Chinese or Baba-Nyonya, are the descendants of the early Chinese immigrants to Penang, Malacca and Singapore. They have partially adopted Malay customs and speak a Chinese-Malay creole of which many words contributed to Penang Hokkien as well (such as "Ah Bah" which means Mister, referring to a man as "Baba"). The Peranakan community possesses a distinct identity in terms of food, dress, rites, crafts and culture. Most of the Peranakan Chinese are not Muslims but practise an eclectic form of ancestor worship and Chinese religion, while some were Christians. They prided themselves as being Anglophone and distinguished themselves from the newly arrived Chinamen or sinkheh. While the Peranakan culture is still a living one, it is almost extinct today due to the Peranakans' re-absorption into the mainstream Chinese community. Many follow otherwise Westernised ways of life. Still, their legacy lives on in their distinctive architecture (exemplified by the Pinang Peranakan Mansion and the Cheong Fatt Tze Mansion), cuisine, elaborate nyonya kebaya costume and exquisite handicrafts. The common languages of Penang, depending on social classes, social circles, and ethnic backgrounds are Malay, Mandarin, English, Penang Hokkien and Tamil. Standard Mandarin, which is taught in Chinese-medium schools in the state, is increasingly spoken. Malay, the language of the indigenous population, the official language of the state, as well as the medium of instruction of national schools, is spoken in the northern dialect, with characteristic words such as "hang", "depa", and "kupang". Syllables ending with "aq" are typically stressed. Penang Hokkien is a variant of Minnan and is widely spoken by a substantial proportion of the Penang populace who are descendants of Chinese settlers. Many police officers also take a course in Hokkien. It bears strong resemblance to the Hokkien dialect spoken by ethnic Chinese living in the Indonesian city of Medan and is based on the Minnan dialect of Zhangzhou, Fujian. It incorporates a large number of loanwords from Malay and English. Most Penang Hokkien speakers are not literate in Hokkien but instead read and write in standard (Mandarin) Chinese, English and/or Malay. 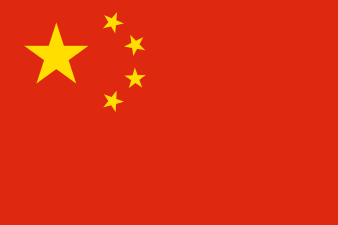 Other Chinese dialects, including Hakka and Cantonese are also spoken in the state, although they are less common. Teochew is heard more in Seberang Perai than on Penang island. Tamil is spoken by the Indian community in Penang. Telugu, Punjabi and Malayalam is spoken by small number of people. English, a colonial legacy, is a working language widely used in commerce, education, and the arts. English used in an official or formal context is predominantly British English with American influences. Spoken English, as in the rest of Malaysia, is often in the form of Manglish (Malaysian colloquial English). This reflects Penang's diverse ethnic and socio-cultural amalgamation. There was also a tiny and little-known community of Jews in Penang, mainly along Jalan Zainal Abidin (formerly Jalan Yahudi or Jewish Street). The last known native Jew died in 2011, rendering the centuries-old Jewish community in Penang effectively extinct. The state has its own state legislature and executive, but they have relatively limited powers in comparison with those of the Malaysian federal government, chiefly in areas of revenues and taxation. Penang, being a former British settlement, is one of only four states in Malaysia not to have a hereditary Malay Ruler or Sultan. The other three are Malacca, also a British settlement whose sultanate was ended by the Portuguese conquest in 1511, and the Borneo states of Sabah and Sarawak. The head of the state executive is the Yang di-Pertua Negeri (Governor) appointed by the Yang di-Pertuan Agong (King of Malaysia). The present Governor is Tun Dato' Seri Haji Abdul Rahman bin Haji Abbas. His consent is required to dissolve the Legislative Assembly. In practice the Governor is a figurehead whose functions are chiefly symbolic and ceremonial. The Chief Minister of Penang is Lim Guan Eng from the Democratic Action Party (DAP). Following the 12th general elections of 8 March 2008, the coalition of DAP and Parti Keadilan Rakyat (PKR) formed the state government with the chief ministership going to the former for being the single largest party in the state legislature. Mr Lim Guan Eng is currently serving his second consecutive term as Chief Minister following his coalition's victory with two-thirds majority in the state legislature in the 2013 elections. Penang holds the distinction of being the sole state in Malaysia whose chief ministership has been continuously held by an ethnic Chinese since independence. A committee of assessors was established in George Town in 1800 and was the first local authority established in Malaya. On 1 January 1957, George Town became a city by a royal charter granted by Her Majesty Queen Elizabeth II, becoming the very first city in the Federation of Malaya and Malaysia (other than Singapore between the 1963 merger and its 1965 separation). However, the George Town City Council was merged with the Penang Rural District Council to form the Penang Island Municipal Council in 1976. In 2015, the entire Penang Island, including George Town, was granted city status by the Malaysian federal government. 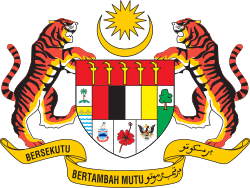 The former Municipal Council has been upgraded to the Penang Island City Council effective 1 January 2015. A ceremony was held in March 2015, in which Dato' Patahiyah binti Ismail was installed as the mayor of Penang Island. In effect, this makes George Town the only city in Malaysia to be given city status twice, first by Her Majesty Queen Elizabeth II, and then by the Malaysian federal government. Though Penang in 1951 was the first state in the then Malaya to hold local elections, local councillors have been appointed by the Penang state government ever since local elections were abolished in Malaysia in 1965 as a result of the Indonesian Confrontation. There are currently two local authorities in Penang, the Penang Island City Council (Majlis Bandaraya Pulau Pinang) in charge of Penang Island and the Seberang Perai Municipal Council (Majlis Perbandaran Seberang Perai) in charge of Seberang Perai. The city council consists of a mayor, a secretary and 24 councillors, while the municipal council is made up of a president, a municipal secretary and 24 councillors. The president and mayor is appointed by the state government for a two-year term while the councillors are appointed for one-year terms of office. The local councils are responsible, among others, for regulating traffic and parking, maintaining public parks, upkeeping cleanliness and drainage, managing waste disposal, issuing business licenses, and overseeing public health. Source: Election Commission of Malaysia. The unicameral state legislature, whose members are called state assemblymen, convenes at the neoclassical Penang State Assembly Building (Dewan Undangan Negeri) at Light Street. It has 40 seats, 30 held by the Pakatan Rakyat coalition (of which 19 are held by the Democratic Action Party, ten by Parti Keadilan Rakyat, one by PAS), and 10 by the state opposition Barisan Nasional since the 2013 general elections. This was a one-seat improvement from the 2008 General Elections for the incumbent Pakatan Rakyat (PR) coalition government and has thus cemented PR's grip on the state. As in the national Parliament, Penang practises the Westminster system whereby members of the executive are appointed from amongst the elected assemblymen. In the Malaysian Parliament, Penang is represented by 13 elected members of parliament in the Dewan Rakyat (House of Representatives), serving a five-year term, and has two senators in the Dewan Negara (Senate), both appointed by the state Legislative Assembly to serve a three-year term. The Penang State Constitution embodies the state's highest laws which was codified since Independence. Amendments to the Constitution require a two-thirds majority support from members of the Assembly. The Malaysian Federal Constitution enumerates matters which come under federal, state, and joint jurisdictions. The state may legislate on matters pertaining to Malay customs, land, agriculture and forestry, local government, civil and water works, and state administration, whereas matters that fall under joint purview include social welfare, wildlife protection and national parks, scholarships, husbandry, town planning, drainage and irrigation, and public health and health regulations. The Malaysian legal system had its roots in 19th-century Penang. By 1807, a Royal Charter was granted to Penang which provided for the establishment of a Supreme Court. This was followed by the appointment of the first Supreme Court judge designated as the "Recorder". 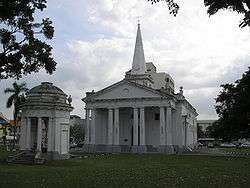 The Supreme Court of Penang was first housed at Fort Cornwallis and was opened on 31 May 1808. The first Superior Court Judge in Malaya originated from Penang when Sir Edmond Stanley assumed office as the First Recorder (later, Judge) of the Supreme Court in Penang in 1808. The legal establishment in Penang was later progressively extended to the whole of British Malaya by 1951. Post-independence, the Malaysian judiciary has become largely centralised. The courts in Penang consist of the Magistrates and Sessions Courts, and the High Court. The court that is the highest up in the hierarchy of courts in Penang is the Penang High Court. Penang is well known as the "Silicon Valley of the East" and is the third-largest economy amongst the states of Malaysia, after Selangor and Johor. Penang is the state with the highest GDP per capita in Malaysia in 2010 with RM 33,456.00 (USD $10,893.00). Manufacturing is the most important component of the Penang economy, contributing 45.9% of the state's GDP (2000). The southern part of the island is highly industrialised with high-tech electronics plants (such as Dell, Intel, AMD, Altera, Motorola, Agilent, Renesas, Osram, Plexus Corporation, Bosch and Seagate) in the Bayan Lepas Free Industrial Zone – earning Penang the nickname Silicon Island. In January 2005, Penang was formally accorded the Multimedia Super Corridor Cyber City status, the first outside of Cyberjaya, with the aim of becoming a high-technology industrial park that conducts cutting-edge research. In recent years, however, the state is experiencing a gradual decline of foreign direct investments due to factors such as cheaper labour costs in China and India. In 2010, Penang had the highest total of capital investments in the country. The state attracted RM 12.2 billion worth of investments, up fivefold from RM 2.2 billion the year before and a total increase of 465%. Other than that, Penang accounted 26% of Malaysia's total investments in 2010. In 2011, Penang became top in manufacturing investment in Malaysia for the second consecutive year, with RM9.1 billion in total. However, in a new measurement indicator of total investment introduced by MIDA, which comprises manufacturing, services and private sectors, Penang ranked second in Malaysia after Sarawak in total investments, with the total amount of RM14.038 billion. This was primarily due to not having sufficient primary sector investments. US media's Bloomberg described Penang's economic growth as Malaysia's "biggest economic success" despite the federal government's focus on other states such as Johor and Sarawak. Consequently, after the economic success due to increase in total investments, the public debt in Penang decreased by 95% from RM630 million in 2008 to RM30 million at the end of 2011. The entrepôt trade has greatly declined, due in part to the loss of Penang's free-port status and to the active development of Port Klang near the federal capital Kuala Lumpur. However, there is a container terminal in Butterworth which continues to service the northern area. Penang also has a small automotive industry. Butterworth-based Hong Seng Assembly (HSA) specialises in reconditioning and reassembly of heavy commercial vehicles. As of the 2010s, the company has expanded their operations to include completely knocked down (CKD) assembly of new commercial vehicles from China. Other important sectors of Penang's economy include tourism, finance, shipping and other services. The Penang Development Corporation (PDC) is a self-funding statutory body aiming enhance Penang's socio-economic development and to create employment opportunities whereas InvestPenang is a non-profit entity of the state government with the sole purpose of promoting investments in Penang. Agricultural land in 2008 is used for (in descending total area) oil palm (13,504 hectares), paddy (12,782), rubber (10,838), fruits (7,009), coconut (1,966), vegetables (489), cash crops (198), spices (197), cocoa (9), and others (41). Two local produce for which Penang is famous for are durians and nutmegs. Livestock is dominated by poultry and domestic pigs. Other sectors include fisheries and aquaculture, and new emerging industries such as ornamental fish and floriculture. Owing to limited land size and the highly industrialised nature of Penang's economy, agriculture is given little emphasis. In fact, agriculture is the only sector to record negative growth in the state, contributing only 1.3% to the state GDP in 2000. The share of Penang's paddy area to the national paddy area accounts for only 4.9%. Penang was the centre of banking of Malaysia at a time when Kuala Lumpur was still a small outpost. The oldest bank in Malaysia, Standard Chartered Bank (then the Chartered Bank of India, Australia and China) opened its doors in 1875 to cater to the financial requirements of early European traders. The Hongkong and Shanghai Banking Corporation, now known as HSBC, opened its first branch in Penang in 1885. This was followed by the UK-based Royal Bank of Scotland (then ABN AMRO) in 1888. 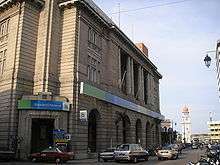 Most of the older banks still maintain their local headquarters on Beach Street, the historic commercial centre of George Town. Today, Penang remains a banking hub of northern Malaysia, with branches of Citibank, United Overseas Bank, Bank of China, Oversea-Chinese Banking Corporation and Bank Negara Malaysia (the Malaysian central bank) together with local banks such as Public Bank, Maybank, Ambank and CIMB Bank. There are two major Western orchestras in Penang – the Penang Philharmonic (formerly Penang State Symphony Orchestra and Chorus (PESSOC), and the Penang Symphony Orchestra (PSO). The ProArt Chinese Orchestra is an orchestra playing traditional Chinese musical instruments. There are also many other chamber and school-based musical ensembles. The Actors Studio at Straits Quay is a theatre group which started in 2002. 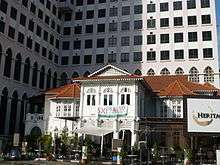 Dewan Sri Pinang and the Performing Arts Centre of Penang (Penangpac) at Straits Quay are two of the major performing venues in Penang. Bangsawan is a Malay theatre art form (often referred to as the Malay opera) which originated from India, developed in Penang with Indian, Western, Islamic, Chinese and Indonesian influences. It went into decline in the latter decades of the 20th century and is a dying art form today. Boria is another traditional dance drama indigenous to Penang featuring singing accompanied by violin, maracas and tabla. Chinese opera (usually the Teochew and Hokkien versions) is frequently performed in Penang, often in specially built platforms, especially during the annual Hungry Ghost Festival. There are also puppetry performances although they are less performed today. In 2012, as part of the Georgetown Festival of Arts and Culture, Lithuanian Artist Ernest Zacharevic created a series of 6 wall paintings depicting local culture, inhabitants and lifestyles. They now stand as celebrated cultural landmarks of George Town, with Children on a Bicycle being one of the most photographed spots in the area. With these murals, the street art scene has blossomed. Cultural centres such as the Hin Bus Depot are now curating exciting exhibitions and inviting international artists to visit and paint murals, building on the existing reputation the city has as a vibrant arts and culture centre. The art scene is growing beyond this, too, in the funny and entertaining 'Marking George Town' exhibition of wrought iron caricatures waiting to be discovered among the streets. The Penang Museum and Art Gallery, in George Town, houses relics, photographs, maps, and other artefacts that document the history and culture of Penang and its people. 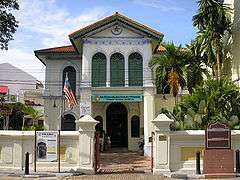 The Penang Islamic Museum at the former Syed Alatas Mansion highlights the history of Islam in Penang from its beginnings until today. The tragedy of the Second World War is vividly depicted in the Penang War Museum, a former fortress constructed by the British in anticipation of an amphibious invasion by the Japanese that never materialised. The Universiti Sains Malaysia Museum and Gallery, located within the university campus contains an extensive exhibition relating to ethnographic and performing arts, and features various art works by Malaysian artists. Also, Penang Toy Museum is located at Tanjung Bungah and there is a forestry museum within the Teluk Bahang Forest Park. The Penang State Art Gallery at Dewan Sri Pinang showcases a permanent collection of local artists as well as special exhibitions. The birthplace of Malaysia's legendary singer-actor P. Ramlee has been restored and turned into a museum. Penang also houses other museums such as the Camera Museum, Batik Painting Museum and Sun Yat-sen Museum. The architecture of Penang is a durable testament of her history – a culmination of over a century and a half of British presence, as well as the confluence of immigrants and the culture they brought with them. Fort Cornwallis was the first structure the British built in Penang. Outstanding examples of colonial period buildings include the Municipal Council and Town Hall buildings, the buildings in the old commercial district, the Penang Museum, the Eastern and Oriental Hotel, and St George's Anglican Church – all of which are part of a UNESCO World Heritage Site. The Suffolk House, the former residence of Penang's British governors, on the banks of the Air Itam river is an example of the Anglo-Indian garden house. 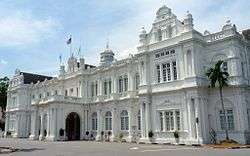 The stately Seri Mutiara (formerly known as the Residency), completed in 1890 as the residence of Penang's British Resident Councillors, is today the official residence of the Governor. Chinese influence is visible at the many ornate clan houses, temples, pre-war shophouses, and mansions such as the Cheong Fatt Tze Mansion. The Clan Jetties are a collection of water villages at Weld Quay. The Indian community built many elaborate temples such as the Mahamariamman temple, while Muslim influence can be seen at the Kapitan Keling Mosque, the Acheh Mosque, and the Penang Islamic Museum. The P. Ramlee Museum is an excellent example of traditional Malay stilt houses. Siamese and Burmese architecture can be appreciated at the Sleeping Buddha and Dharmikarama temples. Modern structures and skyscrapers also abound in Penang, sometimes side by side with heritage buildings. Notable examples include the KOMTAR tower, and the Gurney Paragon Towers. The Songkran Festival as celebrated in Wat Chayamangkalaram, a Thai Theravada Buddhist temple in George Town. The cultural mosaic of Penang naturally means that they are a great many number of festivals to celebrate. The Chinese celebrate, among others, the Chinese New Year, Mid-Autumn Festival, Hungry Ghost Festival, Qing Ming, and the feast days of various deities. The Malays and Muslims celebrate Hari Raya Aidilfitri, Hari Raya Haji, and Maulidur Rasul while the Indians observe Deepavali, Thaipusam and Thai Pongal. Christmas, Good Friday and Easter are celebrated by Christians. The annual Saint Anne's Novena and Feast Day draws thousands of Catholics to St. Anne's Church in Bukit Mertajam. Buddhists observe Wesak Day while the Sikhs celebrate Vaisakhi. Many of these festivals are celebrated in a large scale and are also public holidays in Penang. The Penang Government organises the annual George Town Festival which celebrates the city's World Heritage Site status with arts and live cultural performances throughout the month of July. The famous Pesta Pulau Pinang (Penang Fest) is a combination of trade expo, family-oriented carnival and cultural events held throughout the month of December since the 1960s primarily at the Pesta site in Sungai Nibong and other locations in the state. Penang, long known as the food capital of Malaysia, is renowned for its good and varied food. Penang was recognised as having the Best Street Food in Asia by Time magazine in 2004, citing that "nowhere else can such great tasting food be so cheap". Penang's cuisine reflects the Chinese, Nyonya, Malay and Indian ethnic mix of Malaysia, but also shows some influence of Thailand. 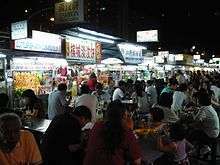 Its especially famous "hawker food", many served al fresco, strongly features noodles, spices, and fresh seafood. The best places to savour Penang's food include Gurney Drive, Pulau Tikus, New Lane, New World Park, Penang Road and Chulia Street, as well as Raja Uda and Chai Leng Park over on the mainland. Penang is also famed for its traditional biscuits such as the tau sar pneah (bean paste biscuit). Aside from that, Penang is also ranked among top ten greatest street food cities in Asia, according to CNN Go. In 2014, Penang has been voted by Lonely Planet as the top food destination. Visited by Somerset Maugham, Rudyard Kipling, Noël Coward and Queen Elizabeth II among many others, Penang has always been a popular tourist destination, both domestically and internationally. In 2009, Penang attracted 5.96 million tourists, ranking third in tourist arrivals in Malaysia. Penang is known for its rich heritage, multicultural society and its vibrant culture, its hills, parks, and beaches, shopping, and good food. There are a variety of accommodation options from guest houses and budget hotels to four- and five-star hotels. For staying at a room for one night, guests are required to pay a bed tax around RM2 to RM3. Penang has been ranked by Yahoo! Travel as one of the "10 Islands to Explore Before You Die" and listed in Patricia Schultz's best-selling 1,000 Places to See Before You Die travel book. The most popular beaches in Penang are located at Tanjung Bungah, Batu Ferringhi, and Teluk Bahang, and these contiguous beaches are home to Penang's famed hotel and resort belt. More secluded Muka Head, which hosts a lighthouse and a marine research station, and Monkey Beach – both within the Penang National Park – offer more pristine water. Pollution which has been going on for years taints the beauty of the beaches and increasingly turns tourists away to places like Langkawi and Pangkor. Among the identified sources of pollution include inefficient sewage disposal and unchecked commercial activities. Hawker food centre at Gurney Drive. Famed for its food, Penang is a food haven visited by the Malaysian locals as well as foreign tourists. Touted the food capital of Malaysia, some of the best of Penang food can be found at Gurney Drive. The popular seafront promenade offers both delightful street and high-end cuisine. At the food court, you can find local favourites such as Char Kway Teow (fried flat noodles with prawns), Penang Laksa (sour and spicy fish soup served with noodles and mint leaves) Bak Kuk Teh (a herbal stew of pork ribs and meat), Oh Chien (fried oyster omelette), grilled squid, and nasi lemak. The food court has both a halal and non-halal section. In 2014, Penang was named the top food destination in the world by Robin Barton of Lonely Planet. Penang was described as "Its food reflects the intermingling of the many cultures that arrived after it was set up as a trading port in 1786, from Malays to Indians, Acehenese to Chinese, Burmese to Thais. State capital Georgetown is its culinary epicentre." The Cheong Fatt Tze Mansion was built in the 1880s by master craftsmen brought in especially from China. The famous indigo-blue Chinese Courtyard House in George Town was the residence of Cheong Fatt Tze, and was built with 38 rooms, 5 granite-paved courtyards, 7 staircases and 220 windows and possesses splendid Chinese timber carvings, Gothic louvre windows, russet brick walls and porcelain cut & paste decorative shard works, art nouveau stained glass panels, Stoke-on-Trent floor tiles and Scottish cast iron work. It is filled with rare a collection of sculptures, carvings, tapestries and other antiques. The Pinang Peranakan Mansion is the former residence and office of Chinese Kapitan Chung Keng Kwee, and incorporates various Chinese architecture. Here you can find more than 1,000 antiques and collectibles. Fort Cornwallis, named after Charles Cornwallis, is one of the historical landmarks in George Town. The fort's walls are roughly 10 feet tall and shaped like a star. Some of the original structures built over a century ago are still standing, such as a chapel, prison cells, ammunitions storage area, a harbour light once used to signal incoming ships, the original flagstaff and several old bronze cannons, one of which is a Dutch cannon called the Seri Rambai, dated 1603. The Penang War Museum was erected on the original defence complex built by British before World War II and is dedicated to those who have served and died, defending the country. Many war paraphernalias and relics, as well as historical timelines of events are on exhibit at the museum. Despite its limited land size and dense population, Penang has managed to retain a considerable area of natural environment. As of 2011, 7% of the state's total surface area or 7524 hectares was forested. Located at the fringe of George Town, at the foot of Penang Hill are two adjacent green areas – the Penang Municipal Park (popularly known as Youth Park) and the Penang Botanic Gardens. Penang Hill, despite encroaching development, remains thickly forested and lush in vegetation. The Relau Metropolitan Park was opened in 2003. Robina Beach Park is a park by the beach near Butterworth. Gazetted in 2003, the Penang National Park (the country's smallest at 2,562 hectares) at the northwestern tip of Penang island boasts of a lowland dipterocarp forest, mangroves, wetlands, a meromictic lake, mud flats, coral reefs and turtle nesting beaches in addition to a rich diversity of birdlife. In addition to this, there are nature preserves in Bukit Relau, Teluk Bahang, Bukit Penara, Bukit Mertajam, Bukit Panchor, and Sungai Tukun. The Penang Butterfly Farm in Teluk Bahang, one of few of its kind in the world, is a walk-in free-ranging butterfly habitat, breeding and conservation centre. The Penang Bird Park in Seberang Jaya is the first aviary in Malaysia. Other places of special interest include the Tropical Spice Garden and the Tropical Fruit Farm in Teluk Bahang, and the Bukit Jambul Orchid and Hibiscus Garden. Penang was a pioneer in education in Malaysia, having some of the earliest established schools in the country. The public school system comprises national schools, vernacular (Chinese and Tamil) schools, vocational schools, and religious schools. There are also a few international schools, such as Dalat International School, Tenby International School, Prince of Wales Island International School, The International School of Penang, the Penang Japanese School, and St. Christopher's International Primary School for both expatriates' and Malaysian children. The state has five Chinese Independent High Schools: Penang Chinese Girls' Private High School, Chung Ling Private High School, Phor Tay Private High School, Han Chiang School and Jit Sin Independent High School. Formal education in Penang stretches back to the early days of British administration. Many of the public schools in Penang are among the oldest in the country and even in the region as a whole but has since been turned into national schools. They educated generations of important personages in the country's history, which included royalty, ministers, lawmakers, sportsmen, artists, and musicians. Most notable of these are Penang Free School (est. 1816, the oldest English school in the country), St. Xavier's Institution (est. 1852), Convent Light Street (est. 1852, the first school for girls in Malaysia), Methodist Boys' School (est. 1891) and Methodist Girls' School (est. 1891). National schools use Malay as their medium of instruction. Unlike early Chinese and missionary schools, national schools are mostly built and funded by the government. The student population in these schools tend to be more multiracial. Examples are Bukit Jambul Secondary School, Sri Mutiara Secondary School and Air Itam Secondary School. The Tunku Abdul Rahman Technical Institute and the Batu Lanchang Vocational School are two of Penang's vocational schools. The Al-Mashoor School is a religious school in Penang. Penang is home to two medical schools (Penang Medical College and Allianze College of Medical Sciences), a nursing college, a dental training college, two Institute of Teacher Education Malaysia campuses (Bukit Chombee Campus and Tuanku Bainun Campus), and numerous private and community colleges. The two public universities in Penang are Universiti Sains Malaysia at Gelugor and its Engineering campus at Nibong Tebal, and Universiti Teknologi MARA at Permatang Pauh. The former, popularly known by its acronym USM, is one of Malaysia's earliest universities, and is today accorded the status of apex university dedicated to research. Wawasan Open University is a private university which has both distance-learning and on campus programs. Penang also hosts SEAMEO RECSAM, a research and training facility for the enhancement of the science and mathematics education in Southeast Asia. Some of the colleges in Penang include Tunku Abdul Rahman University College (TARUC), Han Chiang College, KDU College, The One Academy Penang, Inti College, DISTED College, SEGi College and Olympia College. The Penang Public Library Corporation in 1973 replaced the Penang Library which in turn was set up in 1817. It operates the main Penang Public Library in Seberang Prai, the George Town Branch Library, the Children's Library, and three smaller libraries. The mainstream newspapers in Penang include the English dailies The Star, The New Straits Times, and the free The Sun; the Malay dailies Berita Harian, Utusan Malaysia, Harian Metro, and Kosmo! ; the Chinese dailies Kwong Wah Yit Poh, Sin Chew Daily, China Press, and Oriental Daily News; and the Tamil dailies Tamil Nesan, Malaysia Nanban, and Makkal Osai. The Malay Mail is an English weekly. Nanyang Siang Pau is a Chinese-language financial daily while The Edge is an English-language financial weekly newspaper. All of them are in national circulation. In 2011, Chief Minister of Penang Lim Guan Eng officiated the launch of Time Out Penang. The Penang edition of the international listings magazine is currently published in three versions: a yearly printed guide, a regularly updated website, and mobile app. Health care in Penang is provided by public as well as private hospitals. The public health care system first established by the colonial authorities was supplemented by health care provided by local Chinese charities, and Christian missionaries such as the Roman Catholic and the Seventh-day Adventist. Today public hospitals are funded and administered by the Ministry of Health. The Penang Hospital is a tertiary-care regional referral centre. In addition to public hospitals are numerous smaller community clinics (klinik kesihatan) and private practices. Private hospitals supplement the system with better facilities and speedier care. These hospitals cater not only to the local population but also to patients from other states and health tourists from neighbouring countries such as Indonesia. Penang is actively promoting health tourism. In 2010, 250,000 foreign patients were treated. The state earned an estimated RM 230 million through medical tourism in 2010, up from RM 162 million in 2009. Penang also contributed 70% to Malaysia's medical tourism revenue. Hospices are also increasingly becoming the choice for long-term and terminal care. Infant mortality rate at present is 0.4% while life expectancy at birth is 71.8 years for men and 76.3 years for women. Getting to Penang both from within and outside Malaysia is easy as Penang is well-connected by road, rail, sea and air. Flights are available from Kuala Lumpur to Penang by local and regional carriers such as AirAsia and Tigerair. Penang Island is connected to the mainland by two bridges. The first one is the 13.5 km (8.4 mi), three-lane, dual carriageway Penang Bridge, which was completed in 1985. The Second Penang Bridge is located further south, linking Batu Maung on the southeastern part of the island to Batu Kawan on the mainland. It was opened to the public in early 2014 and is currently the longest bridge in Southeast Asia. The North-South Expressway (Lebuhraya Utara-Selatan), a 966-km long expressway which traverses the western part of Peninsular Malaysia linking major cities and towns, passes through Seberang Perai. After exiting either one of both bridges, commuters can directly use the expressway to get to the rest of Peninsular Malaysia. The Tun Dr Lim Chong Eu Expressway formerly known as the Jelutong Expressway, a coastal highway on the eastern part of the island, links the Penang Bridge to George Town. The Butterworth Outer Ring Road (BORR) is a 14-km tolled expressway that serves primarily Butterworth and Bukit Mertajam to ameliorate the upsurge in vehicular traffic due to intense urban and industrial development. One of the earliest modes of transportation in Penang was the horse hackney carriage which was popular throughout the last quarter of the 18th century until 1935, when the rickshaw (jinriksha) gained popularity, until it in turn was rapidly superseded by the trishaw beginning in 1941 and still used in George Town today, mostly for sightseeing rides, albeit in much lesser numbers. Horse trams, steam trams, electric trams, trolleybuses and double deckers used to ply the streets of Penang. The first steam tramway started operations in the 1880s and for a time horse-drawn cars were also introduced. Electrical trams were launched in 1905. Trolleybuses commenced in 1925 and they gradually supplanted the trams but they in turn were discontinued in 1961 and regular buses henceforth became the only form of public transport to this day. For a long time, public bus services were deemed unsatisfactory. In 2007, the government announced that Rapid KL would take over all public bus services in Penang under the new entity called Rapid Penang which is formed for this purpose. Rapid Penang started out with 150 buses covering 28 routes on the island and mainland. This service has since been extended. After Rapid Penang came in, public transportation in Penang has improved. Public transportation usage in the state has also increased from a lowly 30,000 commuters a day in 2007 to 75,000 commuters a day in 2010. Currently, there are 350 buses plying 41 routes around the state (30 routes on Penang Island, 9 routes on Seberang Prai and 2 routes connecting Penang Island and Seberang Prai). However, usage of public transport remains low, contributing to traffic jams in the city during rush hours. In light of this, the city council has introduced free shuttle bus services for short intra-city travel to lessen the congestion. This bus service, which runs within George Town, also serves tourists seeking cheap and quick transport throughout the heritage enclave. Recently, open-air double decker buses, known as Hop-On Hop-Off buses, are introduced for tourists in George Town. There are two main bus terminals for express coaches travelling out of and into Penang. One is located at Penang Sentral in Butterworth, and another at Sungai Nibong on the island. Taxis in Penang do not use the meter as required by the Commercial Vehicle Licensing Board but instead charge fixed fares. George Town used to operate both trams and trolleybuses. The tramway system being steadily replaced in the mid-20th century by trolleybuses, first introduced in 1925. In the 1950s, ex-London Transport trolleybuses were brought into the city. Despite having purchased new Sunbeam British trolleybuses in 1956/7, the system was abandoned in 1961. The use of double-decker buses ceased in the 1970s; since then, buses dominate the public transportation system in Penang. Penang has 34.9 km (21.7 mi) of rail track within its border. The Butterworth railway station is serviced by the Keretapi Tanah Melayu (KTM) which runs from Padang Besar on the Malaysia-Thailand Border to Singapore. Senandung Langkawi is the daily night express running from Kuala Lumpur to Haadyai via Butterworth. The Penang Hill Railway, a funicular railway to the top of Penang Hill, is the only cable car rail system of its kind in Malaysia. It was an engineering feat of sorts when completed in 1923. The railway underwent an extensive upgrading in 2010 and was reopened in early 2011. – an overhead cable car linking Komtar to the Penang Sentral in Butterworth. With the completion of the plan in 2030, the Penang state government aims to have multiple public transportation systems on the ground, at sea and even in the air. Penang International Airport (PEN) is located at Bayan Lepas to the south. The airport serves as the northern gateway to Malaysia and is the secondary hub of Firefly, a low-cost carrier wholly owned by Malaysia Airlines as well as AirAsia, a pioneer low-cost carrier from Malaysia. Other airlines operating at Penang are national flag carrier Malaysia Airlines, SilkAir (a subsidiary of Singapore Airlines), Thai Airways International, Tiger Airways, Jetstar Asia Airways, Hong Kong-based Dragonair, Taiwan-based China Airlines, China Southern Airlines, together with Indonesian airlines Lion Air, Sriwijaya Air and Wings Air. Penang Airport has direct flights to other Malaysian cities, namely Kuala Lumpur, Kuching, Kota Kinabalu, Johor Bahru, Langkawi, Kota Bharu and regular connections to major Asian cities such as Singapore, Bangkok, Jakarta, Hong Kong, Taipei and Guangzhou. The airport also serves as an important cargo hub due to the large presence of multinational factories in the Free Trade Zones as well as catering to the northern states of peninsular Malaysia. Cross-channel ferry services, provided by the Penang Ferry Service, connect George Town and Butterworth, and were the only link between the island and the mainland until the bridge was built in 1985. High-speed ferries to the resort island of Langkawi, Kedah in the north as well as to Medan are also available daily. The Port of Penang is operated by the Penang Port Commission. There are four terminals, one on Penang island (Swettenham Pier) and three on the mainland, namely North Butterworth Container Terminal (NBCT), Butterworth Deep Water Wharves (BDWW), and Prai Bulk Cargo Terminal (PBCT). With Malaysia being one of the largest exporting nations in the world, the Port of Penang plays a leading role in the nation's shipping industry, linking Penang to more than 200 ports worldwide. The Swettenham Pier Port also accommodates cruise ships and on occasions, warships. Water supply which comes under the state jurisdiction, is wholly managed by the state-owned but autonomous PBA Holdings Bhd whose sole subsidiary is the Perbadanan Bekalan Air Pulau Pinang Sdn Bhd (PBAPP). This public limited company provides reliable, round-the-clock drinking water throughout the state. Penang was cited by the World Development Movement as a case study in successful public water scheme. PBA's water rates are also one of the lowest in the world Penang's water supply is sourced from the Air Itam Dam, Mengkuang Dam, Teluk Bahang Dam, Bukit Panchor Dam, Berapit Dam, Cherok Tok Kun Dam, Waterfall Reservoir (at the Penang Botanic Gardens), Guillemard Reservoir, and also from the Muda River of Kedah. Penang was among the first states in Malaya to be electrified in 1905 upon the completion of the first hydroelectric scheme. At present, electricity for industrial and domestic consumption is provided by the national electricity utility company, Tenaga Nasional Berhad (TNB). Telekom Malaysia Berhad is the landline telephone service provider and an Internet service provider (ISP) in the state. Mobile network operators and mobile ISPs include Maxis, Digi, Celcom, and U Mobile. Currently, Penang is undergoing a statewide Wi-Fi installation. The Wi-Fi Internet connection will be provided by the Penang State Government for free. This Wi-Fi service, named "Penang Free Wi-Fi", covers various spots on both Penang Island and Seberang Prai. When completed, Penang will be the first state in Malaysia to provide its citizens with free Internet connection. Sewage treatment in Penang is managed by the national sewerage company, Indah Water Konsortium. Prior to systematic sewerage piping and treatment, waste water was haphazardly disposed, mostly in the sea, causing coastal water degradation. The Tun Razak Camp (Malay: Kem Tun Razak) at Bukit Gedong on the island is home to the 2nd Infantry Division of the Malaysian Army while the Peel Avenue Camp (Malay: Kem Lebuhraya Peel) in George Town houses the 509th Regiment of the Rejimen Askar Wataniah. Minden Barracks in Gelugor which is the site of Universiti Sains Malaysia was formerly a base of the Overseas Commonwealth Land Forces (Malaya) from 1939 to 1971. RMAF Butterworth (Malay: TUDM Butterworth) in Butterworth is a Royal Malaysian Air Force base. The installation is also the Integrated Air Defence System (IADS) command centre of the Five Power Defence Arrangements (FPDA). The airbase stations four RMAF squadrons and hosts a Royal Australian Air Force squadron as part of Australia's commitment to the FPDA. Penang is one of the hotbeds of social activism in the country. Anwar Fazal, one of the world's leading social advocate, together with several individuals, founded the Consumers Association of Penang (CAP) in 1969. The country's most vocal and active consumer protection group, CAP strives to protect the interests of consumers. It publishes the Utusan Konsumer, Utusan Pengguna, Utusan Cina, Utusan Tamil, and Majalah Pengguna Kanak-kanak. It established the Third World Network (TWN) in 1984 to connect NGOs in developing countries. The World Alliance for Breastfeeding Action is an organisation based in Penang whose objectives are to protect, promote and support breastfeeding globally. The Penang Heritage Trust is an NGO whose objective is to promote the conservation of Penang's heritage, and to foster cultural education about the history and heritage of Penang. PHT worked to enlist the historic enclave of George Town as a World Heritage Site and had played an important role in saving many heritage buildings in Penang from demolition. Friends of the Penang Botanic Gardens Society is a voluntary organisation dedicated to supporting the botanic, horticultural, educational and recreational objectives of the Penang Botanic Gardens. The Penang Institute (formerly the Socio-Economic and Environmental Research Institute) is a non-profit Penang-based think tank and research institute with a focus on facilitating dynamic and sustainable development for Penang. It publishes the Penang Economic Monthly. Aliran is a national reform and human rights movement which began in 1977 in Penang. It publishes the Aliran Monthly. The state has good sporting facilities which include two major stadia – the City Stadium in George Town and the Batu Kawan Stadium in Southern Seberang Perai. The Penang International Sports Arena (PISA) in Relau has an indoor stadium and an aquatics centre. Penang has 4 golf courses, namely the 18-hole Bukit Jambul Country Club (on the island), the 36-hole Bukit Jawi Golf Resort, the 36-hole Penang Golf Resort and the 18-hole Kristal Golf Resort. Sports clubs in Penang include the Bukit Mertajam Country Club, Penang Club, Chinese Recreation Club (CRC), Penang Sports Club, Penang Rifle Club, Penang Polo Club, Penang Swimming Club, Chinese Swimming Club, and the Penang Squash Centre. The Tanjung City Marina which can accommodate up to 140 yachts and boats of various sizes is located at the historic Weld Quay. The Penang Turf Club, established in 1864, is Malaysia's oldest horse racing and equestrian centre. The international dragon boat festival is held in Penang annually since 1979 around the fifth day of the fifth moon of the lunar calendar. The Penang International Dragon Boat Festival (PIDBF) which leads the development of the sports successfully held the World Club Crew Championship 2008 at Teluk Bahang Dam. Normally, the state will hold two races in a year, the Penang International Dragon Boat Festival in the month of June and Penang Pesta Dragon Boat race around early December. The Penang Bridge Marathon is a popular annual event. The full marathon route starts from near Queensbay Mall, to the Bayan Lepas Expressway, then on to the 13.5 km (8.4 mi) length of the Penang Bridge, and finally back to the starting point for the finish. This event hosted 24 000 runners in 2010. Penang also hosts the unique Chingay procession which began with its first parade in 1919. It is held in celebration of the birthdays of the Chinese deities or in the procession of the Goddess of Mercy (Guan Yin). The procession can be seen yearly on Christmas night or during Chinese festivals such as Chinese New Year or other major events in Penang. Penang has hosted several major sport events include the 2000 Sukma Games, the 2013 Women's World Open Squash Championship and the annual Penang Bridge International Marathon. Penang became the first British outpost in Southeast Asia in 1786. Penang Free School founded by Rev. Sparke Hutchings in 1816, is the first and oldest English School in Southeast Asia. But the very first school was a Malay-language school begun by Father Antonio Garnault in 1786 which is known today as St. Xavier's Institution. The country's first newspaper made its appearance in Penang in 1805 – the Prince of Wales Island Gazette. This was followed by the Penang Gazette, first published in 1837. College General is the only Catholic seminary in Peninsular Malaysia founded in 1665 in Ayutthya, Thailand and then relocated to Penang in 1808. St George's Anglican Church on Farquhar Street, established in 1816, is the oldest Anglican Church in South East Asia and the only building from Penang that was declared one of the 50 National Treasures by the Malaysian Government. The building of Christ Church, Malacca, is older, dating from 1753; however it was only reconsecrated from Dutch Reformed to Anglican in 1838. The Sekolah Kebangsaan Gelugor in Penang founded in 1826 is the first Malay school to be established in Malaysia. The St Xavier's Institution established in 1852, is the first school established in Malaysia to be administered and fully owned by the La Salle Brothers. Convent Light Street or the Convent of the Holy Infant Jesus, a girls' school established by a French Sisters' Mission in 1852, is the oldest girls' school in Southeast Asia. The Penang Island City Council (Majlis Bandaraya Pulau Pinang), is the successor of the Municipal Council of George Town, which was established in 1857 as Malaysia's first local council. Penang Botanic Gardens, established in 1884, is the first botanic gardens in Malaysia. Chung Hwa Confucian School founded by Cheong Fatt Tze in 1904, is one of the oldest formal Chinese schools established in South-east Asia as a result of influence by the educational reforms in China in the early 1900s. Mandarin is the school's medium of instruction. In 1905 Penang completed its first hydroelectric scheme. In 1906 Penang's first electric tramway made its appearance. Malaysia's oldest Chinese newspaper still in circulation today, Kwong Wah Yit Poh or Kwong Wah Daily (光华日报) was founded on 20 December 1910 by Dr. Sun Yat-sen in Penang. The Penang Ferry Service, which began operations in 1920, is the oldest ferry services in Malaysia, connecting George Town on Penang island to Butterworth in Seberang Perai. Federation School for the Deaf, is the first deaf school in Federation of Malaya in April 1954. Diocese of Penang, together with Archdiocese of Kuala Lumpur in 1955 is the first Catholic diocese to have a local bishop at helm. George Town, the state capital of Penang, became a city by a royal charter granted by Her Majesty Queen Elizabeth II on 1 January 1957, becoming the first town in the Federation of Malaya to become a city. Penang Island is the only island in Malaysia to be connected to the mainland through land transport when the Penang Bridge was completed in 1985. The 2,562-hectare (6,330-acre) Penang National Park in Teluk Bahang gazetted in 2003 is the world's smallest national park. Penang is the first state in Malaysia to implement the "No Plastic Bag Day" ruling on 1 January 2011, virtually banning the use of plastic bags every day by almost all business sectors. The "No Plastic Bag" ruling was first introduced on 1 July 2009 for shopping centres and hypermarkets on Mondays, Tuesdays and Wednesdays before it was extended to Tuesdays and Wednesdays as well from 2 January 2010. The Camera Museum, newly established in 2012, is South East Asia's first and only Camera Museum with extensive collections & the origin of the invention. George Town and Malacca are the first cities in Malaysia to be granted the UNESCO World Heritage Site status on 8 July 2008. Established in November 2011, Penang Women's Development Corporation (PWDC) is the first state funded agency in Malaysia dedicated to mainstreaming gender into the policies and programmes of all sectors to achieve gender and social justice in the State. In March 2013, Penang became the first state to adopt a state policy for childcare vide its Penang Childcare Policy and Action Plan by PWDC. Penang's water rates/tariffs are amongst the lowest in Malaysia (the other being Kelantan). Covering 738 km2 (285 sq mi), the Seberang Perai Municipal Council (Majlis Perbandaran Seberang Perai) is the largest local council in Malaysia. Penang's famed Eastern & Oriental Hotel had Kipling, Maugham, Coward, and Sun Yat-sen among others as guests. As one lands on Penang one is impressed even before reaching the shore by the blaze of colour in the costumes of the crowds which throng the jetty. — Isabella Bird, 19th-century English traveller and writer. The spell which makes those who never been, wish to go there, those who live there want to stay, and fills those who have spent their appointed hour or two with a longing to return. Penang was the featured location on an insightful and touching episode of the BBC's series Tribe, hosted by Bruce Parry, about the indigenous peoples whose lives are being ruined by logging. Paradise Road (US/Australia – 1997), starring Glenn Close and Frances McDormand. Anna and the King (US, 1999) featuring Jodie Foster and Chow Yun-fat. Ibu Mertuaku (Malaysia, 1962), featuring P Ramlee and Sarimah. Asia's Next Top Model Episode 8. The Phantom Ship by Frederick Marryat (1792–1848). Two Years Before the Mast by Richard Henry Dana, Jr. (1815–1882). A Retrospect by Protestant Christian missionary J. Hudson Taylor (1832–1905), which documented how he founded the China Inland Mission (renamed in 1964 Overseas Missionary Fellowship and now OMF International). The Penang Pirate by John Conroy Hutcheson (1840–1897). An Outcast of the Islands by Joseph Conrad (1857–1924). The Hound of the Baskervilles by Sir Arthur Conan Doyle (1859–1930). Around the World in Seventy-Two Days by American woman journalist Nellie Bly (birth name Elizabeth Cochrane Seaman, 1864–1922). It is a true account of her journey in 1889 to see if she could beat the fictional journey in Jules Verne's 1873 novel, Around the World in Eighty Days. The Man Who Could Work Miracles by H. G. Wells (1866–1946). Threshold of Hell by Albert J. Rupp, a crew member of the USS Grenadier SS210 submarine who were captured by Japanese in April 1941 along with 75 others, recounted in the book the dark days when he was interned at Convent Light Street in Penang. The Gift of Rain by Tan Twan Eng, set in World War II Penang, was nominated for 2007 Man Booker Prize. P. Ramlee The Musical, staged in Kuala Lumpur and Singapore by ENFINITI Vision Media. The Secret Life of Nora, 2011, a musical set in 1960s Penang, telling the tale of a spy who masqueradees as a cabaret singer on a reconnaissance mission to acquire intelligence on a ring involved in human trafficking. ↑ "Journal of the parliaments of the Commonwealth". Journal of the Parliaments of the Commonwealth. Commonwealth Parliamentary Association, General Council. 34. 1953. 1 2 "Laporan Kiraan Permulaan 2010". Jabatan Perangkaan Malaysia. p. 27. Retrieved 24 January 2011. 1 2 3 "Population by States and Ethnic Group". Department of Information, Ministry of Communications and Multimedia, Malaysia. 2015. Archived from the original on 12 February 2016. Retrieved 12 February 2015. ↑ "Only 6% of the population yet Penang contributes about 36% of Malaysia's FDI in 2010: Penang must not live in the past but learn from the past so that we can save the future for our children". Retrieved 13 September 2014. ↑ "Penang in a state of renaissance". Retrieved 13 September 2014. ↑ "Massive projects in place to alleviate urbanisation in Penang". 2016-10-29. Retrieved 2016-11-17. ↑ "Styling itself as the 'Silicon Valley of the East'". Nikkei Asian Review. ↑ "Pulau Pinang Pulau Mutiara". Perpustakaan Negara Malaysia. 2000. Retrieved 14 July 2008. 1 2 "Betel Nut Island". Retrieved 13 September 2014. ↑ areca-nut, novice blogger (31 August 2008). "Tanjung Penaga". Tanjungpenaga.blogspot.com. Retrieved 3 January 2011. ↑ "Penaga Laut trees are back in George Town". The Star. Malaysia. Retrieved 3 January 2011. ↑ "Welcome to Penang State Museum". Penangmuseum.gov.my. Retrieved 9 November 2012. 1 2 Raymond, Boon. (19 March 2010) Penang, Penang lang(槟城人) lah : Penang is called Koh Maak, not Koh Opium. Teochiewkia2010.blogspot.com. Retrieved on 11 August 2011. ↑ ปีนัง : พันเรื่องถิ่นแผ่นดินไทย โดยศ.ดร.เอนก เหล่าธรรมทัศน์ (Press release) (in Thai). Komchadluek. Retrieved 13 January 2013. ↑ Penang Special Attractions | Penang Travel Tip | Best Tourist Location in Asia. Penangspecial.com. Retrieved on 11 August 2011. ↑ "English :: Roots of Penang Malay". Mandailing. Retrieved 3 January 2011. ↑ "Sir James Lancaster (English merchant) – Britannica Online Encyclopedia". Encyclopedia Britannica. Retrieved 13 September 2014. ↑ Dr. A. Murad Merican (12 October 2006). "Sejarah dari sudut Timur". Utusan Melayu (M) Bhd. Retrieved 14 January 2014. ↑ Penang | Pulau Pinang – History. journeymalaysia.com. Retrieved on 11 August 2011. 1 2 3 "History of Penang". Visitpenang.gov.my. 14 September 2008. Retrieved 3 January 2011. ↑ Rough guide to Malaysia, Singapore ... – Google Buku. Books.google.co.id. 28 October 2003. ISBN 978-1-84353-094-7. Retrieved 3 January 2011. ↑ Eliot, Joshua; Bickersteth, Jane (2002). Malaysia Handbook: The Travel Guide. Footprint Travel Guides. ISBN 1-903471-27-3. ↑ "Francis Light Grave, Penang | Malaysia AsiaExplorers". Asiaexplorers.com. Retrieved 3 January 2011. ↑ "Penal System in Andaman". Retrieved 13 September 2014. ↑ Penang. 1911encyclopedia.org (30 August 2006). Retrieved on 11 August 2011. 1 2 3 Google Drive Viewer. Docs.google.com. Retrieved on 27 September 2013. ↑ "Influential Muslim leaders who shaped Penang in its early history". 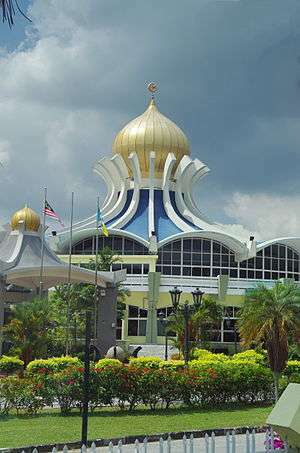 Penangheritagecity.com. 4 October 1994. Retrieved 3 January 2011. ↑ Dr Sun Yat-sen's historic Penang conference. Biz.thestar.com.my. Retrieved on 11 August 2011. ↑ Raymond, Boon. (3 May 2011) Penang, Penang lang(槟城人) lah : Penang WW1 German Naval War, 1914. Teochiewkia2010.blogspot.com. Retrieved on 11 August 2011. ↑ "Malaya Study Group". Retrieved 13 September 2014. 1 2 C. Peter Chen. "Invasion of Malaya and Singapore | World War II Database". Ww2db.com. Retrieved 3 January 2011. ↑ "Biography of Lieutenant-General Shotaro Katayama – (片山省太郎)". Retrieved 13 September 2014. ↑ "U-boat Operations- The Monsun U-boats – 3. Monsun boats". Retrieved 13 September 2014. ↑ Raymond, Boon. (7 March 2010) Penang, Penang lang(槟城人) lah : Penang Secessionist Movement (1948–1951). Teochiewkia2010.blogspot.com. Retrieved on 11 August 2011. ↑ Noordin Sopiee, M. (1973). "The Penang Secession Movement, 1948–1951". Journal of Southeast Asian Studies. 4 (1): 52–71. doi:10.1017/S0022463400016416. ↑ "Penang's first CM Wong Pow Nee dies at 91 – New Straits Times | HighBeam Research – FREE trial". Highbeam.com. 1 September 2002. Retrieved 3 January 2011. ↑ PASSING ON... | WONG POW NEE, FIRST CHIEF MINISTER OF PENANG, MALAYSIA (1957 -1969). Wongpownee.com (24 June 2009). Retrieved on 11 August 2011. ↑ "Rekindling a port's glory days". Retrieved 13 September 2014. ↑ BCLim (11 November 2009). "Penang History – History of Penang / Pulau Pinang by mymalaysia books". Mymalaysiabooks.com. Retrieved 3 January 2011. ↑ "Asia Times: Wreckers ball rips heart out of city: Car Rentals at www.The-Car-Reservations-Desk.com". Retrieved 13 September 2014. ↑ "Eight new sites, from the Straits of Malacca, to Papua New Guinea and San Marino, added to UNESCO's World Heritage List". UNESCO. 7 July 2008. Retrieved 7 July 2008. ↑ "Where is George Town?". The Malay Mail. 4 April 2015. Retrieved 10 July 2015. ↑ Looi Sue-Chern (24 March 2015). "George Town a city again". The Malaysian Insider. Retrieved 10 July 2015. ↑ "Geography of Penang". Penang-traveltips.com. 1 November 2010. Retrieved 3 January 2011. ↑ "theSun". Thesundaily.com. 19 January 2010. Retrieved 3 January 2011. 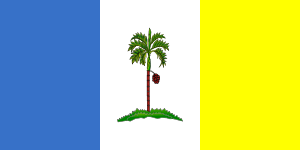 ↑ "penang". Retrieved 13 September 2014. ↑ Archived 5 July 2007 at the Wayback Machine. ↑ "Penang Very Own Fireflies Colonies at Krian Rivers". Retrieved 13 September 2014. ↑ "Sumatra haze blankets northern Malaysia". Planet Ark. 23 September 2002. Retrieved 19 July 2008. ↑ "Malaysian Meteorological Department – Pejabat Meteorologi Bayan Lepas". Met.gov.my. 16 December 2007. Retrieved 3 January 2011. ↑ "Penang/Bayan Lepas Climate Normals 1961–1990". National Oceanic and Atmospheric Administration. Retrieved 4 February 2015. ↑ "The Malaysian Insider". Retrieved 13 September 2014. ↑ "Malaysia: metropolitan areas". World Gazetteer. Archived from the original on 5 December 2012. Retrieved 14 July 2008. ↑ "Penang's capital is eighth most liveable city in Asia, on par with KL and Bangkok". Retrieved 13 September 2014. ↑ Robert Montgomery Martin (1839). Statistics of the colonies of the ... – Google Buku. Books.google.co.id. Retrieved 3 January 2011. 1 2 3 4 5 6 7 "Colonial Construction of Malayness: The Influence of Population Size and Composition" (PDF). Retrieved 3 January 2011. ↑ "Penang – LoveToKnow 1911". 1911encyclopedia.org. 30 August 2006. Retrieved 3 January 2011. ↑ "MALAYSIA : provinces population". Retrieved 13 September 2014. ↑ Peoples of All Nations: Their Life ... – Google Buku. Books.google.co.id. 1 January 2007. ISBN 978-81-7268-144-9. Retrieved 3 January 2011. 1 2 "Malaysia States". Statoids.com. Retrieved 3 January 2011. ↑ "Penang Story Project". Penangstory.net.my. Retrieved 3 January 2011. ↑ Archived 31 January 2012 at the Wayback Machine. ↑ Boon Raymond. "Penang, Penang lang(???) lah : Penang: Little Japan". Retrieved 13 September 2014. ↑ "Penang Story Project". Penangstory.net.my. 9 October 1941. Retrieved 3 January 2011. ↑ "One family's world of Judaism in Malaysia". Jewishtimesasia.org. 20 December 1925. Retrieved 3 January 2011. ↑ Penang Expat. "The Penang Expat Community". Penangexpat.com. Retrieved 3 January 2011. ↑ "Malaysia and Singapore – Google Books". Google Books. Retrieved 13 September 2014. ↑ Andrea Filmer. "All things Peranakan Chinese". The Star. Malaysia. Retrieved 3 January 2011. ↑ "Pinang Peranakan Mansion Home Page". Retrieved 13 September 2014. ↑ "Pinang Peranakan Mansion – Penang Heritage Legacy". Penang-vacations.com. Retrieved 3 January 2011. ↑ "The Architectural Style of the Peranakan Cina". Hbp.usm.my. 3 December 1994. Retrieved 3 January 2011. ↑ "Penang: The Language". Introducing Penang. penangnet.com. 2007. Retrieved 18 July 2008. ↑ "Mind your Hokkien". The Star. Malaysia. Retrieved 3 January 2011. ↑ "Penang Hokkien in peril". The Star. 16 July 2008. Retrieved 18 July 2008. ↑ Drukpa Penang, Druk Tharpa Choling. Drukpa.org.my. Retrieved on 11 August 2011. ↑ "Penang Samye Buddhist Society « Vajrayana Malaysia Centre Directory". Vajrayana Malaysia Centre Directory. Retrieved 13 September 2014. ↑ Raimy Ché-Ross (April 2002). "A Penang Kaddish: The Jewish Cemetery in Georgetown – A case study of the Jewish Diaspora in Penang (1830s–1970s)" (Word Document). The Penang Story – International Conference 2002. Retrieved 28 June 2008. ↑ Archived 7 November 2011 at the Wayback Machine. ↑ "Archived text of NST news article: "Uncle Mordy laid to rest". New Straits Times, 18 July 2011. Retrieved 5 December 2013". Retrieved 13 September 2014. ↑ Mustafa, Siti Fairuz. "Portal Rasmi Kerajaan Negeri Pulau Pinang – Governor". www.penang.gov.my. Retrieved 2016-08-07. ↑ "Penang island gets city status". ↑ "Council president now Penang's first mayor". Retrieved 1 April 2015. ↑ "Do we need local council elections?". My Sinchew. Retrieved 3 January 2011. ↑ "Laman Web Rasmi Majlis Perbandaran Pulau Pinang – Latar Belakang". Mppp.gov.my. Retrieved 3 January 2011. ↑ "Pengajian Am @ Malaysia: SENARAI PERSEKUTUAN, NEGERI DAN BERSAMA". Retrieved 13 September 2014. ↑ "Penang Bar". Penang Bar. Retrieved 3 January 2011. ↑ "Penang Greatest Directory". PenangOnlineDirectory.com. Retrieved 3 January 2011. ↑ "GDP Per Capita by State for the year 2008–2010 at Current Price" (PDF). Department of Statistics, Malaysia. Retrieved 15 January 2013. 1 2 "Fullcontact: About Malaysia". Fullcontact.nl. 22 April 2010. Retrieved 3 January 2011. ↑ "InvestPenang.gov.my". InvestPenang.gov.my. Retrieved 3 January 2011. ↑ Pratibha Verma (1 December 2009). "Global Services – Outsourcing to Penang". Globalservicesmedia.com. Retrieved 3 January 2011. ↑ The Star (20 January 2011). "Penang tops total capital investment list for 2010". The Star. Retrieved 27 January 2011. ↑ "1.6 Million Penangites Deserve Full Credit for the Historic Feat of Penang Being No. 1 in Malaysia in Manufacturing Investment for the 2nd Consecutive Year in 2011". Retrieved 13 September 2014. ↑ "You too can be like Penang, Guan Eng tells Malaysia". Archived from the original on 20 August 2014. Retrieved 13 September 2014. ↑ "MAA – Member Listing – Manufacturing & Assembly Plant". Malaysian Automotive Association (MAA). 16 April 2016. Archived from the original on 4 March 2016. Retrieved 16 April 2016. ↑ "HS Group of Companies". hs-grp.com. 16 April 2016. Archived from the original on 16 April 2016. Retrieved 16 April 2016. ↑ Dinesh Appavu (19 February 2016). "Hong Seng mengorak langkah" (in Malay). bhauto.my. Archived from the original on 16 April 2016. Retrieved 16 April 2016. ↑ "Corporate Profile". Pdc.gov.my. Retrieved 3 January 2011. ↑ "Welcome to". Investpenang.gov.my. Retrieved 3 January 2011. 1 2 3 Tengku Mohd Ariff Tengku Ahmad (29 November 2001). "The Agriculture Sector in Penang: Trends and Future Prospects" (PDF). Archived (PDF) from the original on 28 May 2008. Retrieved 19 July 2008. ↑ "About Us – Standard Chartered Bank Malaysia Berhad". Standardchartered.com.my. 29 February 1984. Retrieved 3 January 2011. ↑ "Bank of China(Malaysia) Berhad". Retrieved 13 September 2014. ↑ "Official Website of Penang Philharmonic". Pessoc.com. 23 December 2010. Retrieved 3 January 2011. ↑ woonviolincollections.com. woonviolincollections.com. Retrieved on 11 August 2011. ↑ "ProArt Chinese Orchestra :: About Us : Profile". Proart.com.my. Retrieved 3 January 2011. ↑ Archived 24 December 2010 at the Wayback Machine. ↑ Gopinath Rao.S. "Bangsawan". Angelfire.com. Retrieved 3 January 2011. ↑ "The case for bangsawan". Retrieved 13 September 2014. ↑ Minni Ang. "Boria". Musicmall-asia.com. Archived from the original on 14 May 2011. Retrieved 3 January 2011. ↑ Lim, Serene (24 April 2015). "The good, bad and ugly of street artist Ernest Zacharevic's murals". Today. Retrieved 26 April 2015. ↑ asiarooms.com. "Penang Museums, Malaysia Travel Information, Penang Travel Guide". Asiarooms.com. Retrieved 3 January 2011. ↑ "Penang Art Gallery: Art Galleries and Museums in Penang Area, Malaysia". Penang.world-guides.com. Retrieved 3 January 2011. ↑ "Penang Forestry Museum, Pulau Pinang". Penang-traveltips.com. 1 November 2010. Retrieved 3 January 2011. ↑ p-ramlee/gallery penang. P-ramlee.com. Retrieved on 11 August 2011. ↑ Virtual Malaysia. "Fort Cornwallis | Malaysia Destination | Malaysia Tourism". Virtualmalaysia.com. Retrieved 3 January 2011. 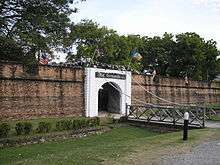 ↑ "Fort Cornwallis, Penang Colonial Heritage | Malaysia AsiaExplorers". Asiaexplorers.com. Retrieved 3 January 2011. ↑ Archived 29 September 2011 at the Wayback Machine. ↑ "Seri Mutiara, Penang". Retrieved 13 September 2014. ↑ "Candlelight communion". Article.wn.com. Retrieved 3 January 2011. ↑ "Big turnout for St Anne's". Article.wn.com. Retrieved 3 January 2011. ↑ Andrew Catchpole. "Melting pot – Travel". the Guardian. Retrieved 13 September 2014. ↑ Gross, Matt. 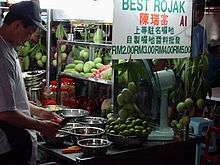 (5 November 2006) In Malaysia, Take Many Peoples and Ingredients, Mix, Enjoy – NYTimes.com. Travel2.nytimes.com. Retrieved on 11 August 2011. ↑ Tourism Malaysia: Penang Food | Malaysia by a Malaysian. Audioguidemalaysia.com (12 March 2011). Retrieved on 11 August 2011. ↑ 10 Islands to Explore Before You Die. Travel.yahoo.com. Retrieved on 11 August 2011. ↑ Fitzpatrick, Liam (15 November 2004). "TIMEasia Magazine: Best of Asia – Best Street Food". TIME. Retrieved 3 January 2011. ↑ "Asia's 10 greatest street food cities". ↑ "Where are the foodies going in 2014?". ↑ Crossette, Barbara (30 June 1985). "Correspondent'S Choice – Correspondent'S Choice – On Penang Island, A Legend Lives". The New York Times. Penang Island (Malaysia); Malaysia. Retrieved 3 January 2011. ↑ "Following Maugham's Footsteps–Malaysia " A Guy's Moleskine Notebook". Mattviews.wordpress.com. 10 April 2009. Retrieved 3 January 2011. ↑ "History | 'Respect for self; respect for others'". Uplands.org. Retrieved 3 January 2011. ↑ "Making Penang the Dream Holiday Destination". My Sinchew. Retrieved 3 January 2011. ↑ "Bed tax on Penang hotels – Free Malaysia Today". Free Malaysia Today. Retrieved 13 September 2014. ↑ "Penang to restore and landscape sites in Batu Ferringhi". The Star. 15 November 2007. Retrieved 10 July 2008. 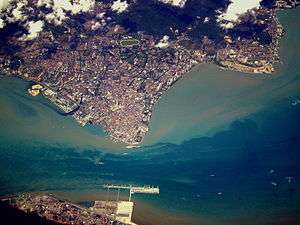 ↑ "Penang's polluted beaches keeping tourists away". The Star. 14 November 2007. Retrieved 10 July 2008. ↑ "Gurney Drive". Tourism Malaysia. Retrieved 22 May 2014. ↑ "Cheong Fatt Tze Mansion". Tourism Malaysia. Retrieved 22 May 2014. ↑ "Kek Lok Si". Tourism Malaysia. Retrieved 22 May 2014. ↑ "Pinang Peranakan Mansion". Tourism Malaysia. Retrieved 22 May 2014. ↑ "Fort Cornwallis". Tourism Malaysia. Retrieved 22 May 2014. ↑ "Penang War Museum". Tourism Malaysia. Retrieved 22 May 2014. ↑ "Setting boundaries". Retrieved 13 September 2014. ↑ "Emerald | Disaster Prevention and Management | Environmental hazards associated with hill land development in Penang Island, Malaysia: some recommendations on effective management". Emeraldinsight.com. doi:10.1108/09653569810230148. Retrieved 3 January 2011. ↑ "Penang National Park | Penang for Budget Travelers". Penang-traveltips.com. Retrieved 3 January 2011. ↑ "Penang Butterfly Farm – The World's 1st Tropical Live Butterfly Sanctuary, Butterfly, Insects, Nature, Lizards, Tarantullas, Tour, Penang, Malaysia". Butterfly-insect.com. Retrieved 3 January 2011. ↑ "Welcome to Penang Bird Park". Penangbirdpark.com.my. Retrieved 3 January 2011. ↑ "Alchornea". Nationaalherbarium.nl. Retrieved 3 January 2011. ↑ "Full text of "Flora Malesiana"". Archive.org. Retrieved 3 January 2011. ↑ Wild, All. (14 July 2010) ALL-WILD: Bee-eaters in Penang. All-wild.blogspot.com. Retrieved on 11 August 2011. 1 2 3 "Penang National Park". Retrieved 13 September 2014. ↑ "Penang National Park Tour – Penang Nature Tours". visit-malaysia.com. Retrieved 13 September 2014. ↑ "List of School Information in Penang – Penang Island Information – Welcome2Penang – Powered by Discuz!". Welcome To Penang-Visit Penang. Retrieved 13 September 2014. ↑ "Penang Free School". Retrieved 13 September 2014. ↑ "USM :: Universiti Sains Malaysia". Usm.my. 27 November 2010. Archived from the original on 17 August 2010. Retrieved 3 January 2011. ↑ "UiTM Pulau Pinang Official Website". Penang.uitm.edu.my. Retrieved 3 January 2011. ↑ "Wawasan Open University Open Distance Learning in Malaysia". Wou.edu.my. Retrieved 3 January 2011. ↑ "Laman Web Rasmi Perbadanan Perpustakaan Awam Pulau Pinang". Penanglib.gov.my. 17 December 2010. Retrieved 3 January 2011. ↑ "Perpustakaan Kompleks Membeli Belah". Penanglib.gov.my. 17 December 2010. Retrieved 3 January 2011. ↑ Criz, Penang-based blogger (19 June 2011). "The Official Launch of TimeOut Penang". Retrieved 26 February 2014. ↑ "Time Out Penang". Malaysia. Retrieved 26 February 2014. ↑ "Getting back its mojo". The Economist. 13 August 2011. ↑ "Medical tourism hale and hearty". The Star. 29 January 2011. Retrieved 29 January 2011. ↑ "Welcome to AirAsia.com... Now everyone can fly". Airasia.com. Retrieved 3 January 2011. ↑ "The Legacy of Penang Trishaw". Penang-vacations.com. Retrieved 3 January 2011. ↑ Siow Yuen Ching. "Glorious days of Penang's trams". The Star. Malaysia. Retrieved 3 January 2011. 1 2 "Penang – The Pearl of the Orient". Equator Academy of Art. Retrieved 27 July 2008. ↑ Siow Yuen Ching. "Rivalry 'caused inefficiency'". The Star. Malaysia. Retrieved 3 January 2011. ↑ Ng Su-Ann. "Commuters stage protest". The Star. Malaysia. Retrieved 3 January 2011. ↑ "Rapid Penang Information, Rapid Penang Reference Articles – FindTarget Reference". Reference.findtarget.com. Retrieved 3 January 2011. ↑ "A "step" towards sustainable transport: a case study of Penang, Malaysia." (PDF). Retrieved 3 January 2011. ↑ "Article: CAP: Don't back down in Penang taxi meter matter. | AccessMyLibrary – Promoting library advocacy". AccessMyLibrary. 11 November 2000. Retrieved 3 January 2011. ↑ "Kerajaan Negeri Pulau Pinang". Retrieved 13 September 2014. ↑ "Penang Hill train service to resume next year". The Malaysian Insider. 6 October 2010. Retrieved 3 January 2011. ↑ Penang Greatest Directory. PenangOnlineDirectory.com. Retrieved on 11 August 2011. ↑ The Environmental Sector in Malaysia "Market Watch 2010"
↑ Archived 30 December 2006 at the Wayback Machine. ↑ "Penang launches statewide free WiFi project". The Star. Malaysia. Retrieved 3 January 2011. ↑ "Impact modelling of sewage discharge from Georgetown of Penang, Malaysia on coastal water quality". Retrieved 13 September 2014. ↑ Penang Bridge International Marathon official visit to Xiamen Marathon | Penang – Hotels, Resorts, Entertainment & Events. . Retrieved on 11 August 2011. ↑ "Archives – The Star Online.". Retrieved 13 September 2014. ↑ Xiamen, Penang and Adelaide as Sister cities – What's On Xiamen. Whatsonxiamen.com (9 May 2007). Retrieved on 11 August 2011. 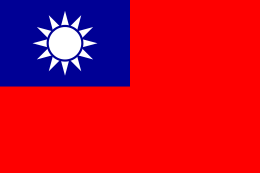 ↑ "Malaysia: Taipei, Georgetown ink friendship memorandum – Taiwan News Onli.com.tw (29 March 2011). Retrieved on 11 August 2011.". Retrieved 13 September 2014. ↑ "CM Lim Guan Eng official facebook page (4 April 2012)". Retrieved 13 September 2014. ↑ changwon. "About Changwon (20 November 2012)". Retrieved 13 September 2014. ↑ . Retrieved on 20 April 2014. ↑ .Phuket Gazette (18 September 2014). Retrieved on 28 September 204. ↑ "RMAF Base Butterworth : Royal Australian Air Force". Airforce.gov.au. 9 February 2010. Retrieved 3 January 2011. ↑ "NO. 324 COMBAT SUPPORT SQUADRON: Royal Australian Air Force". Airforce.gov.au. 30 January 1999. Retrieved 3 January 2011. ↑ "About Anwar Fazal". Retrieved 13 September 2014. ↑ JIN, SOO E WE (30 January 2010). "Up close & personal with Martin Khor". Star Publications. Retrieved 26 April 2012. ↑ "World Alliance for Breastfeeding Action (WABA): right to food and nutrition watch". 6 October 2010. Retrieved 13 September 2014. ↑ "Penang Heritage Trust – Preserve heritage for future generations". Retrieved 13 September 2014. ↑ "Persatuan Sahabat Kebun Botanik Pulau Pinang Friends of the Penang Botanic Gardens Society". Retrieved 13 September 2014. ↑ "Socio-Economic and Environmental Research Institute (SERI) – Home". Retrieved 13 September 2014. ↑ "About us " ALIRAN". ALIRAN. Retrieved 13 September 2014. ↑ "About us". Malayan Racing Association. Retrieved 8 May 2011. ↑ Bhatt, Himanshu (28 January 2008). "Race of the Ancients; Penang Dragons". Penang Forward Sports Club. Retrieved 19 July 2008. ↑ "Welcome to Penang Bridge International Marathon – Official Web Site". Retrieved 13 September 2014. ↑ "Penang State Government". Penang.gov.my. Retrieved 3 January 2011. 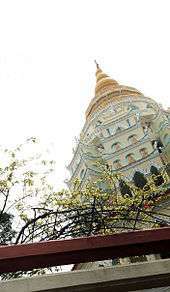 ↑ "St Xavier's marks a new chapter after 156 years". The Star. 1 2 Administrator III. "History of Penang". Retrieved 13 September 2014. ↑ Ng Su-Ann. "World's smallest national park". The Star. Malaysia. Retrieved 3 January 2011. ↑ "UNESCO – Melaka and George Town, Historic Cities of the Straits of Malacca"
↑ NB Travel <info@cuti.my>. "Cuti Malaysia – Penang / Pulau Pinang". Cuti.my. Retrieved 13 September 2014. The Penang Tourism Action Council. The "Light" Years and Beyond. Retrieved 2005-07-26. Wikimedia Commons has media related to Penang. Wikivoyage has a travel guide for Penang.